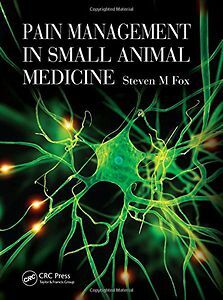 The author of a highly successful book on chronic pain in small animals now turns his attention to all types of pain affecting the dog and the cat. Dr Foxs work is pre-eminent in describing and illustrating clearly and simply the difficulties and choices facing the veterinarian in identifying and treating pain, as well as providing an account of the neurobiological mechanisms responsible for pain. This approach is continued in his new book, which retains the best from the earlier book and expands upon it to include areas beyond chronic pain. By focusing on the latest evidence and contemporary understanding of why and how to treat pain, the author aims to raise standards in resolving pain management to the best possible practice. Pain Management in Small Animal Medicine is of value to veterinarians in practice, training, education and research, and to all related veterinary healthcare professionals seeking greater depth of knowledge of the mechanisms of pain and potential targets for treatment.